Muscat International Shipping & Logistics is one of the most advanced warehousing and distribution service providers in the Sultanate of Oman, UAE and GCC. We offer modern, technologically sound warehousing and distribution environment. MIS excel in the services with our considerable investment in systems, staff, facilities and equipment. As we provide online and offline reports, customers can get accurate and real-time inventory information. We are doing business with all GCC countries. Muscat International Shipping & Logistics has an experienced team who has expertise in air cargo services. 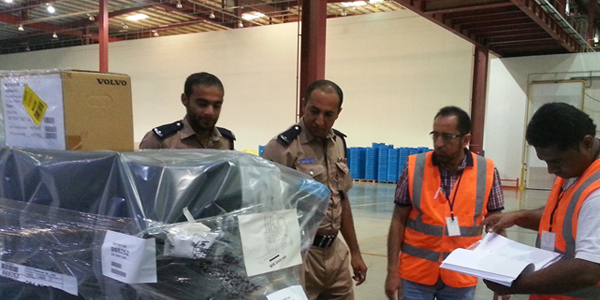 Our smooth pre and post-shipment procedures enable the freight quickly to the specified destinations. 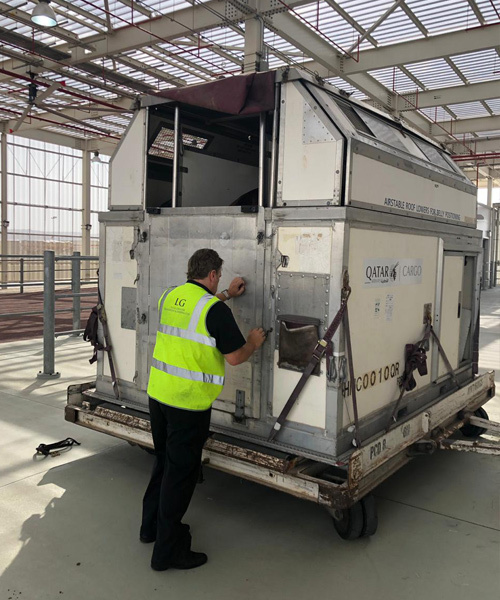 With the wide range of defined and specialist air cargo services, supported by the preferred carriers, you get the flexibility between standardized connections with fixed schedules. MIS air cargo specialists will assess your specific needs and customize the air services for your large-scale project or smaller express shipments. From one box to full pallets to full plane charters, MIS has air freight solutions that fit your shipping budget. Muscat International Shipping and Logistics LLC (MIS) for the second year handled export and import of live animals. 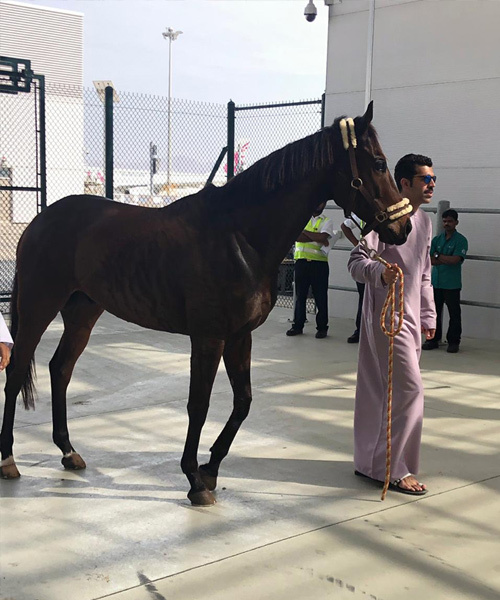 There were 6 racing horses with their equipment from Oman, taking part in HH The Emir’s Sword Festival held at Al Rayyan Race Course, Doha, Qatar from 22nd – 23rd Feb 2019. MIS was involved in coordination with various horse owners to get necessary permits, vaccination, blood and passports for the horses. In addition to this MIS had to coordinate with various authorities viz. 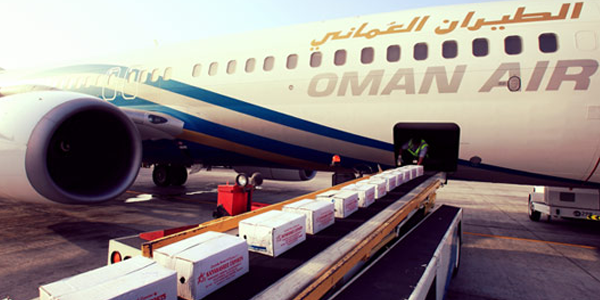 The Airline, Oman Aviation, Customs and health. The airline had to position 2 cages for the horses export. Two grooms also accompanied the horses to assist in loading and Care for the horses while in transit. 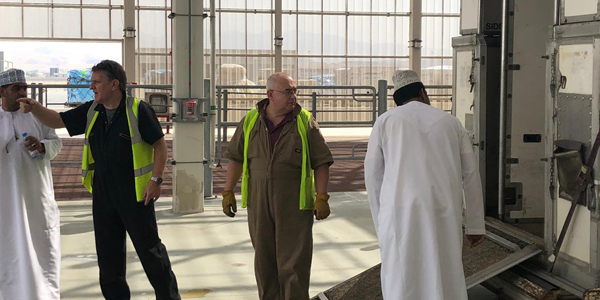 The horses were exported to Qatar on the 19th Feb 2019 and they returned to Oman on 26th Feb 2019. The whole evolution was carried out very smoothly and safely without any incidents. Muscat International Shipping & Logistics LLC handles ocean shipping worldwide on the behalf of your company, streamlining the export/ import process from origin through destination. We offer custom tailored ocean/sea freight logistics solutions for a wide variety of cargo. We offer all types of containerized shipping, from less than container (LCL) loads to 20′, 40′ and refrigerated containers. 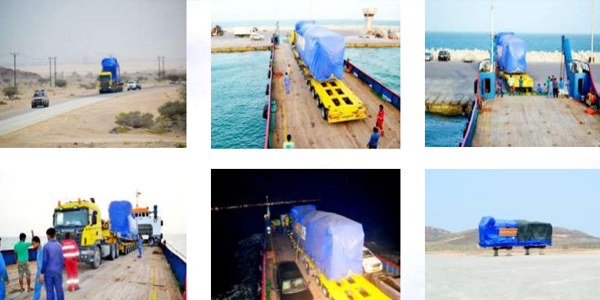 We also provide highly personalized roll on roll off (RORO) services for cars, trucks and boats. We offer specialized BREAK BULK CARGO handling service. We have technical expertise in handling heavy shipment equipment and we can also offer consultancy services as we are aware of the specific requirements and unconventional cargo handling that transpire in break bulk vessel handling. MIS is active in CHARTERING & SHIPBROKING and has access to various Charterers and Shipowners across the globe. 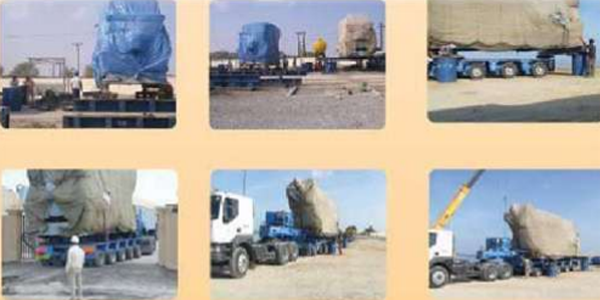 Our clients, on the cargo front, are importers & exporters of specialized project machinery, bulk cargoes. Our worldwide network of direct associates ensures a speedy location of suitable vessels for the requisite cargo and concludes a fixture on mutually acceptable and advantageous terms. Our ocean shipping experts are available to provide you with fast quotes to all destinations across the globe. We offer domestic door-to-door delivery services for customers, who want to simplify logistics management, reduce costs and minimize the risk of loss or product damage. Leveraging on our extensive global network, we provide consolidation of international freight, air, ocean and ground transportation, customs clearance and direct delivery at the desired destination within the country. We have cargo pick up and delivery round the clock, warehousing and distribution of cargo. 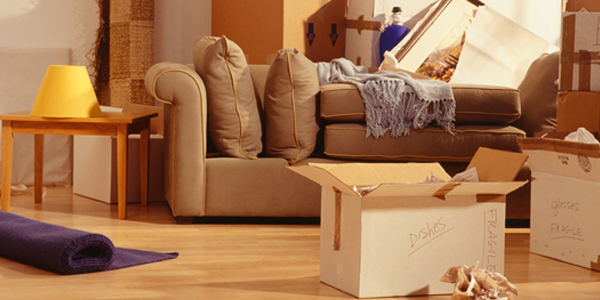 MIS makes sure that the goods reach the buyers and final customers in perfect condition. We take special care in securely packing and appropriately marking and labelling the goods so that it is handled properly while in the transit. 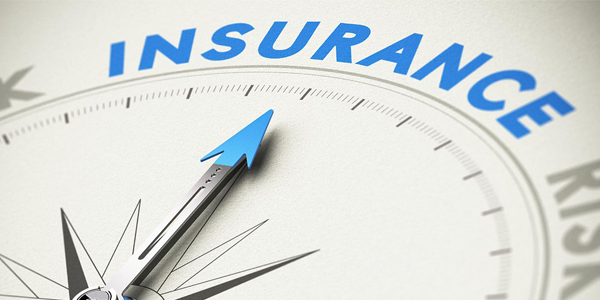 MIS takes care of all the logistics operations including insurance and ensures that the goods are delivered on time and in perfect condition. We have established ourselves as one of the leading clearing and forwarding associate in Oman for customs clearance & door delivery of your baggage with the expertise of our experienced PRO. Our professional team clear the cargo at the moment it arrives, saving the time and money of customers. We complete all the customs formalities and documentation and deliver the consignments to the desired destination. We also handle stuffing and de-stuffing at ports and customer warehouse. MIS provides a full scope of transport solutions from consolidation trucks up to complex truck movements for specialized cargo. We can manage any kind of cargo from the smallest, most fragile or hazardous to over-sized machinery and project cargo. For road transport of out of gauge/heavy cargo, we can organize all the road permissions and road surveys required. 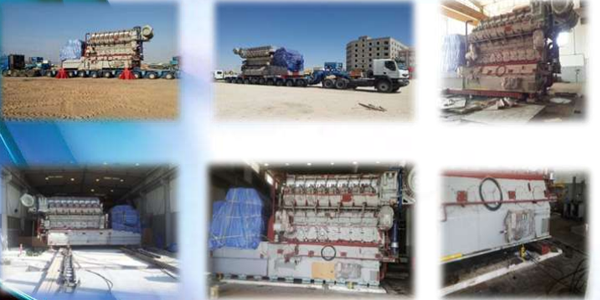 MIS has the expertise and the experience of handling project movements in the entire region. We provide high service quality, modern equipment, drivers with local language knowledge, competitive prices, and consolidation services. 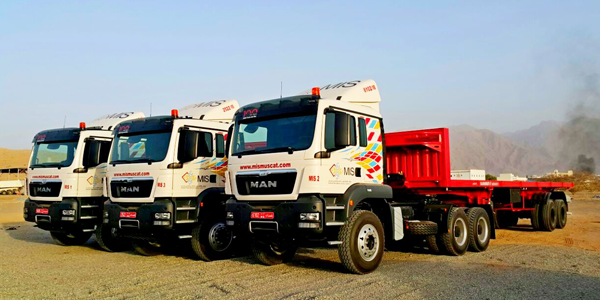 Our fleet of trucks gives us the ability to extend our trucking network beyond the domestic market on a regular frequency to the entire middle-east region. Muscat International Shipping and Logistics LLC is one of the first companies to start LCL export from Oman to different parts of the world. 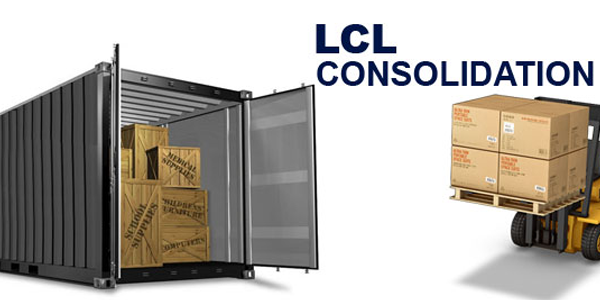 We offer services to various locations all over the world on a weekly basis, continuously receiving multi-port LCL consoles from all major ports as a console hub. Our efficiency in management makes us exceptionally competent in handling and transporting complex cargo anywhere around the world, seamlessly. 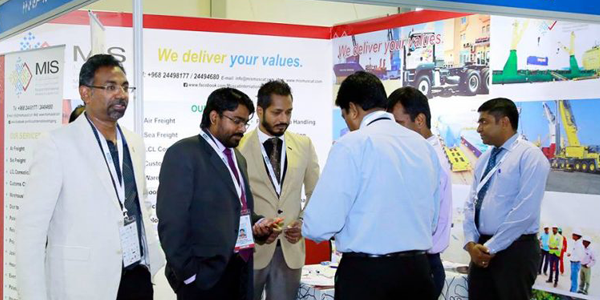 In addition to all shipping and logistics services and with its wide range of experiences, MIS has the capability to arrange and manage exhibition activities within the region. We organize and manage exhibition stalls from all over the world in Oman. Pallets make it easier to move heavy stacks. Loads with pallets under them can be hauled by forklift trucks of different sizes, or even by hand-pumped and hand-drawn pallet jacks. 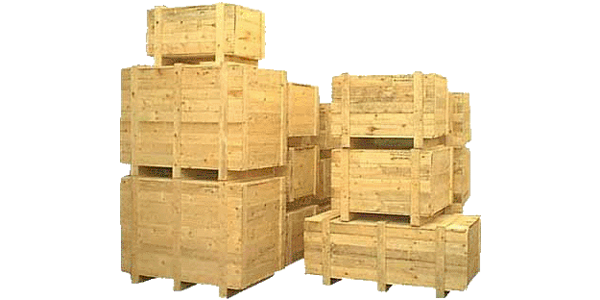 MIS offers you various types of palletized transport of your goods and cargoes at affordable rates. MIS provides the supply chain management component that is used to meet customer demands through the planning, control and implementation of the effective movement and storage of related information, goods and services from origin to destination. Our effective logistics management helps you to reduce expenses and improve customer service. 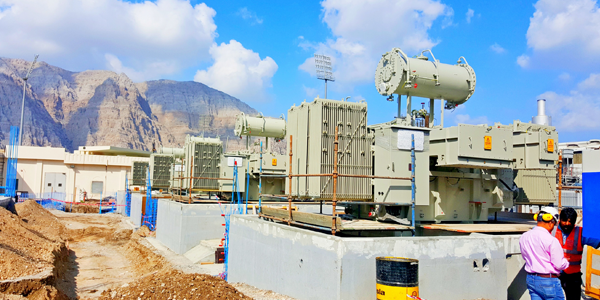 MIS successfully completed transportation & installation on 25/1/2017 of Voltamp Transformers 20 MVA x 4 No’s (Approx 40 Ton each ) with Accessories from Sohar to Khassab RAECO Power Station, Oman. 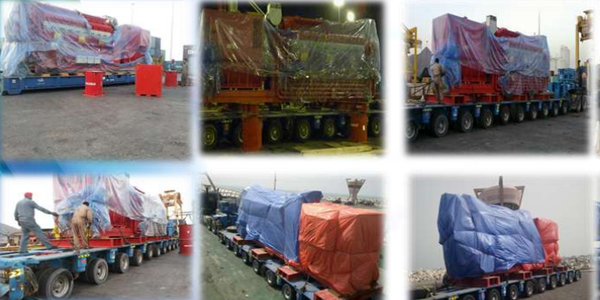 Our team successfully transported 4 Nos transformers in 4nos low beds and accessories in 6 Nos flatbeds. Also mobilized a 500 ton crane & 25 ton Crane from muscat. 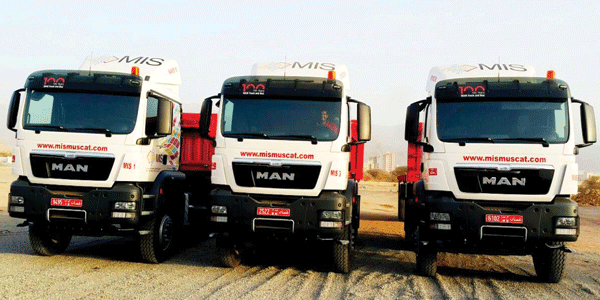 All trailers has to cross 3 international borders (Oman & UAE) in order to reach in Khassab. 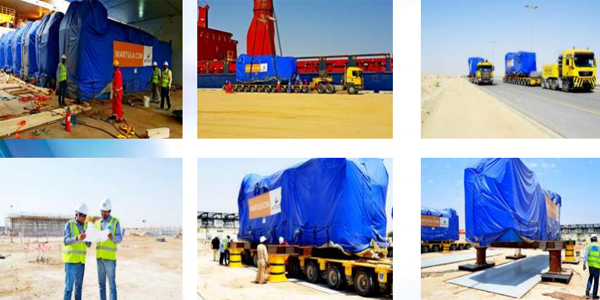 Installation was critical , Our trailers reached within 24 Hours in Khassab Power Station . Transformer offloading & assembly was done through 500 Ton crane to its foundation within 2 days. 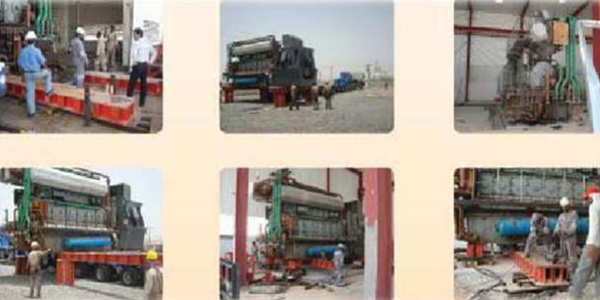 Each transformer has 10 units accessories which was installed with a 25 ton crane with expertise also. 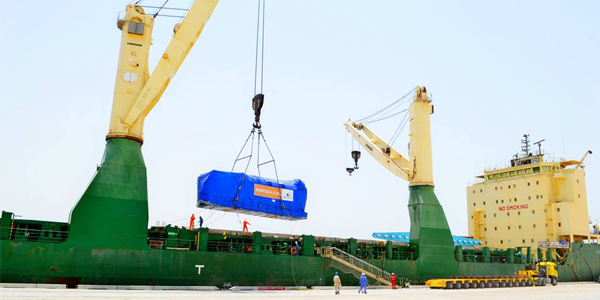 Successfully completed discharging 7 x 6 MW DG sets from Duqm port to Masirah island 42 MW Power Station including Ferry transport including 91 trailer trips. Successfully completed discharging DG sets from Muscat port to Masirah Power Station.